From Australia, apparently bought in a brick and mortar store in Adelaide. 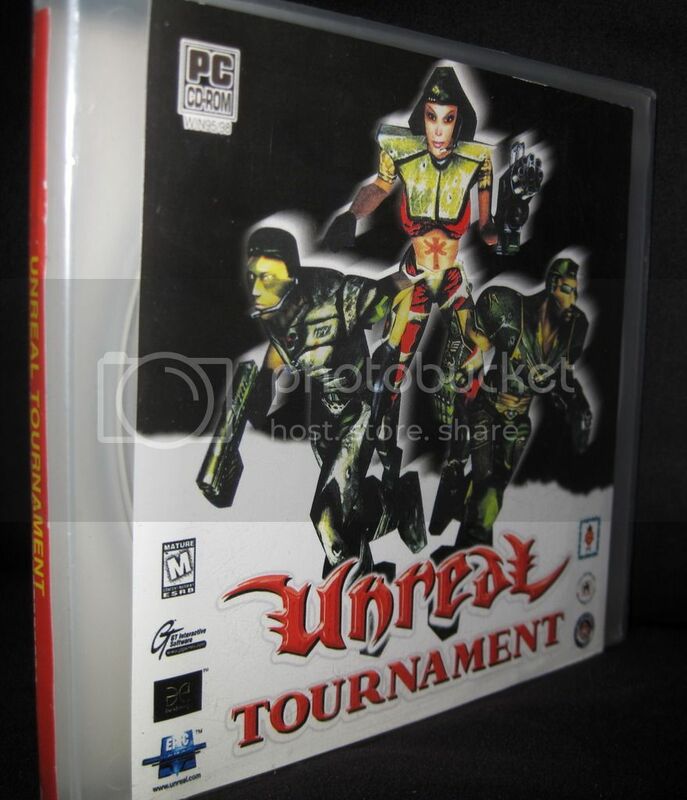 Contains 2 copies of UT CD1 (only), with one of the CDs, as advertised, has the tiny bonus pack copied onto it. Last edited by Chamberly on Fri Aug 21, 2015 1:21 pm, edited 1 time in total. Can this even be called an "edition" when it's clearly just a bootleg copy? 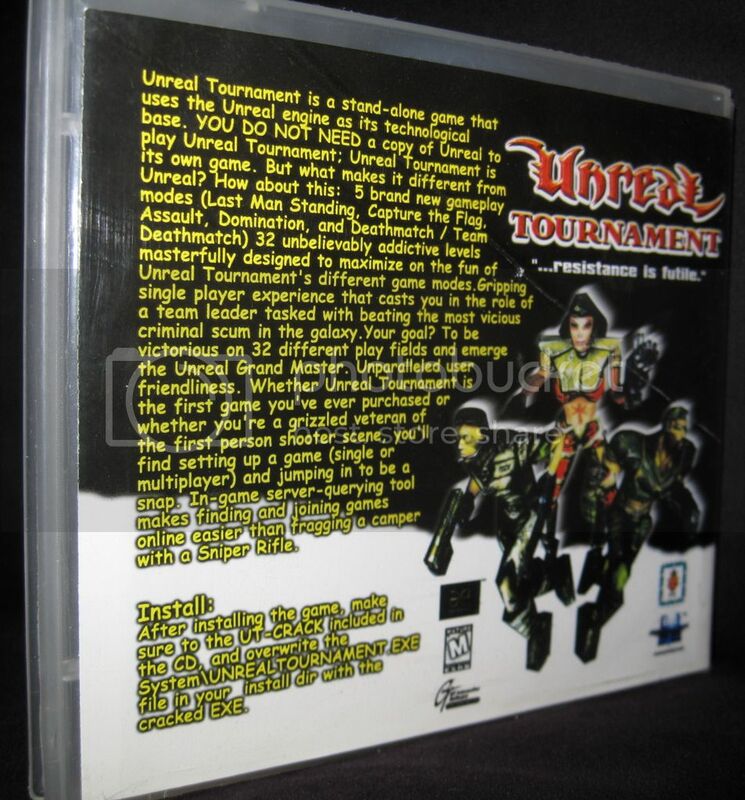 Ah, just noticed the wonderful UNREAL TOURNEMENT label on the Bonus Pack disc. Just screams quality, doesn't it? Carbon wrote: with one of the CDs, as advertised, has the tiny bonus pack copied onto it. "NHL Rock The Rink" (PS1) announcer wrote: ...And there are no stunt doubles in this game, folks! List of console converted maps, models & more! That's actually really, really cool in it's own way. If you could date those it could very well be from the first wave of what we all know now as 'bootleg'. Is that screenprinting on the CD's? If so that's not some guy making them in his garage. This was pumped out at some small scale operation that dedicated some time and effort to making it. Yep, it is cool if for no other reason than bootlegs are always somehow kind of cool. Someone went to some trouble for this one; it isn't "pro" work, but it isn't just totally duct tape and wire either. 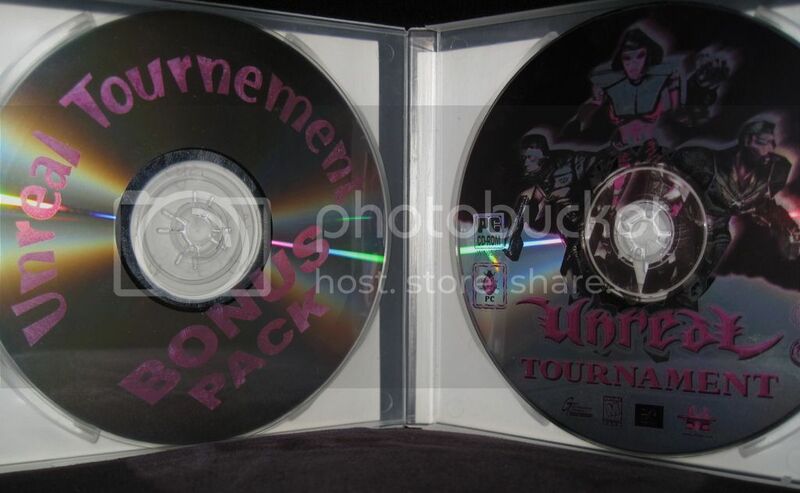 As for trust, well, it is just 2 copies of vanilla UT CD1; nothing malicious or anything. Kind of stupid, since the bonus pack made it possible to not have the CD in while playing and not have to copy over the EXE. Red_Fist wrote: Kind of stupid, since the bonus pack made it possible to not have the CD in while playing and not have to copy over the EXE. JackGriffin wrote: If you could date those it could very well be from the first wave of what we all know now as 'bootleg'. That's why I'm certain Jack is right ...this must be a pre no-CD-patch version. Can you check what version number this UT has? Vanilla 400 mate. The only unique thing about this is the design.